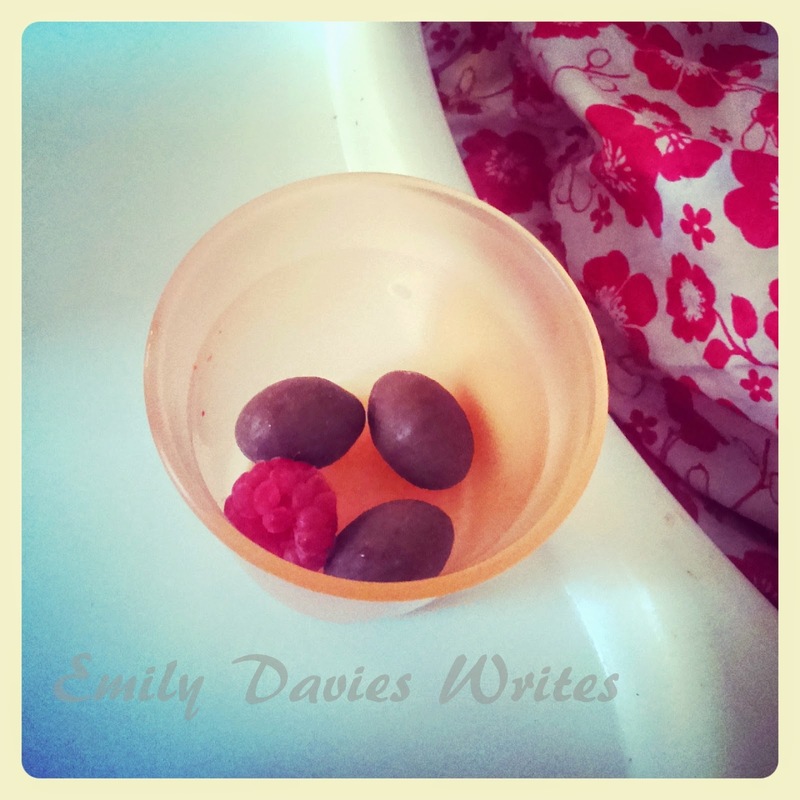 If you've been reading for a while you'll know that I live a completely dairy free life. This is due to eczema. You can read about my story here but basically, I have severe skin reactions at the slightest trace of milk, my face swells up and I look like I've been in a fight. I do eat quite a varied and 'normal' diet, just with a few adjustments and substitutions. However, it was a real concern to us that Ruby would inherit some of my allergies - which thankfully she hasn't. But I am all the more aware that raising her to have a healthy relationship with food is more important than ever, and me and my habits have great power in determining how she feels about certain foods. When I was about three my sister was put on an extreme exclusion diet because she too suffered from eczema and allergies. Let's just say she couldn't eat very much. When I was referred to the growth centre at a later date (with tiny genes, I'm not sure what they hoped to achieve), a health professional did tell my mum that it is at the age of three that we form our food habits and relationship with food (they deemed me a fussy eater - what's wrong with salad cream sandwiches I don't know!). They attributed my sister's exclusion diet to my fussy eating in later life! Now, my sister went through a horrendous time and there's no hard feelings there - but in a lot of ways this theory seems to make a lot of sense. If you have a toddler, remember that this is a crucial age for forming relationships with food so encourage them in every way possible. Whether it's your own allergies, you dieting or deeming some foods 'naughty', kids should feel free and safe to eat anything in moderation, unless of course there's a reason, like they have allergies. Ruby often likes to feed me food and share her food and I had to be really intentional about not saying things like "No thank you, Mummy can't eat that, it makes her sick." 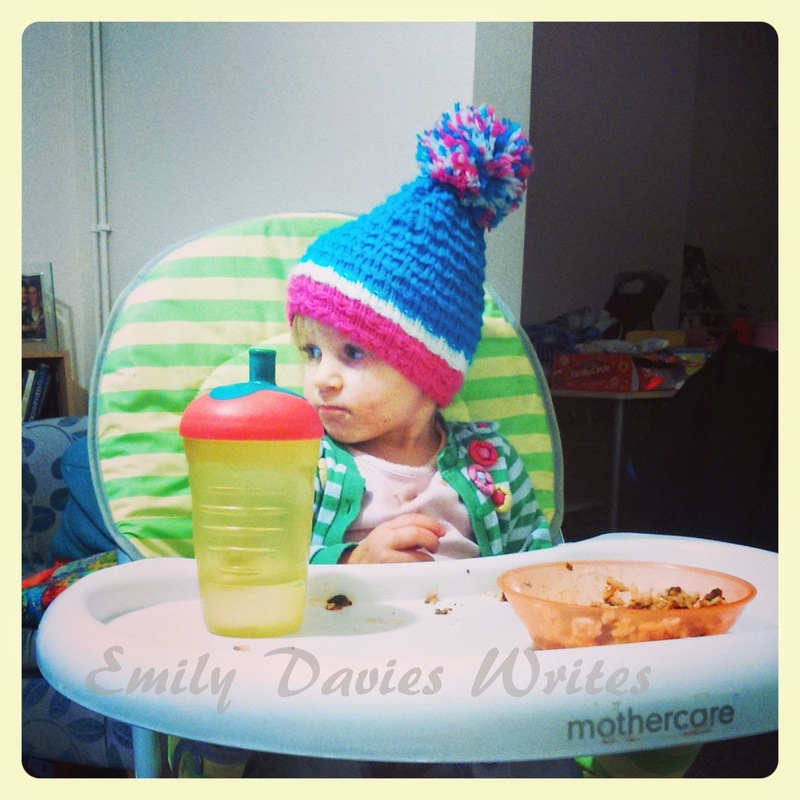 If Ruby thinks it makes Mummy sick, why is she going to want to eat it herself?! I try instead to say thank you for sharing, but that it's Ruby's and she should enjoy it. I don't label foods as 'naughty', I don't say things like "Let's go to McDonalds, but don't tell Daddy...". Similarly, as much as it kills me, I always share my dairy free treats with Ruby. There's no reason - other than my own selfishness - why she shouldn't eat them and I don't want her to grow up thinking that some foods are off limits, or naughty. The more I thought about it, the more I realised that we send so many messages to our children when talking about food. Of course, some foods are better than others. Some foods are treats and not for all the time. But we are giving our children these foods - so don't make them feel guilty or naughty for eating them. Either give them a healthier alternative, or don't say anything at all! There are some foods that both myself and my husband don't eat - like tomatoes (urgh!). But it was only through eating out that we discovered Ruby loves tomatoes! I was having a jacket potato with one of those 'decorative' side salads and Ruby stole the cherry tomatoes and gobbled them up! Before that outing, we never had tomatoes in our house but now they're a staple food (for Ruby). So eat out, share your food, you never know what they might take a liking to! After the tomato incident, we made a point of stocking up on cherry tomatoes when we next went to the supermarket. She now eats them every day. This also paved the way for cucumber, peppers and various fruits that we would never normally have in the house (we're not big fruit & veg people I'm afraid). Ruby will now eat pretty much everything you put in front of her. The only thing she's not big on is sandwiches - I think it's just too much bread! 5. If they display a disliking for food, don't traumatise them! I'm not a great believer in force feeding children food. Meal times shouldn't be a battle ground and they shouldn't be too traumatic. If Ruby doesn't particularly like something, I encourage her to eat it, I distract her in the hope that she'll come back to it later, I give her enough time to finish and definitely decide not to eat it before we move onto dessert. I do however, continue to offer said food to her over the course of days and weeks and usually she'll end up liking what she previously didn't. The last thing I want her to do is associate certain foods with tears and tantrums. I always try and encourage Ruby to eat her fruit and veg before her yoghurt or chocolate. But at the same time, she is allowed to eat everything in the order she wants. A great way of doing this is by using small pots. Shortly after Easter Ruby showed a liking for raspberries but she obviously still wanted all of her Easter eggs. I put three mini eggs in the bottom of the pot and topped up the pot with raspberries so she had to eat the fruit before getting to the chocolate - which was always a lovely surprise to her when she realised what was underneath! She now hardly ever asks for chocolate, but is asking for raspberries from the moment she wakes up! 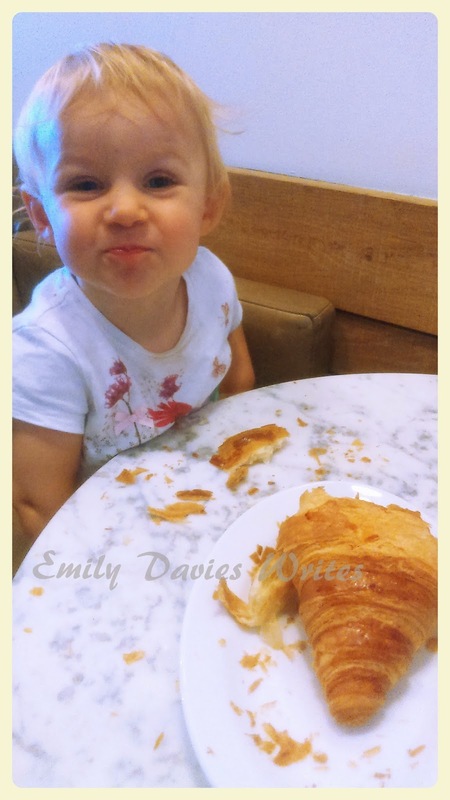 How do you encourage healthy attitudes towards for food with your children?